Get schooled in a 70’s staple with the Soul Babe Tee. The shrunken fit tee brings back gradeschool style with yarn dye stripes and a contrast crew neck. 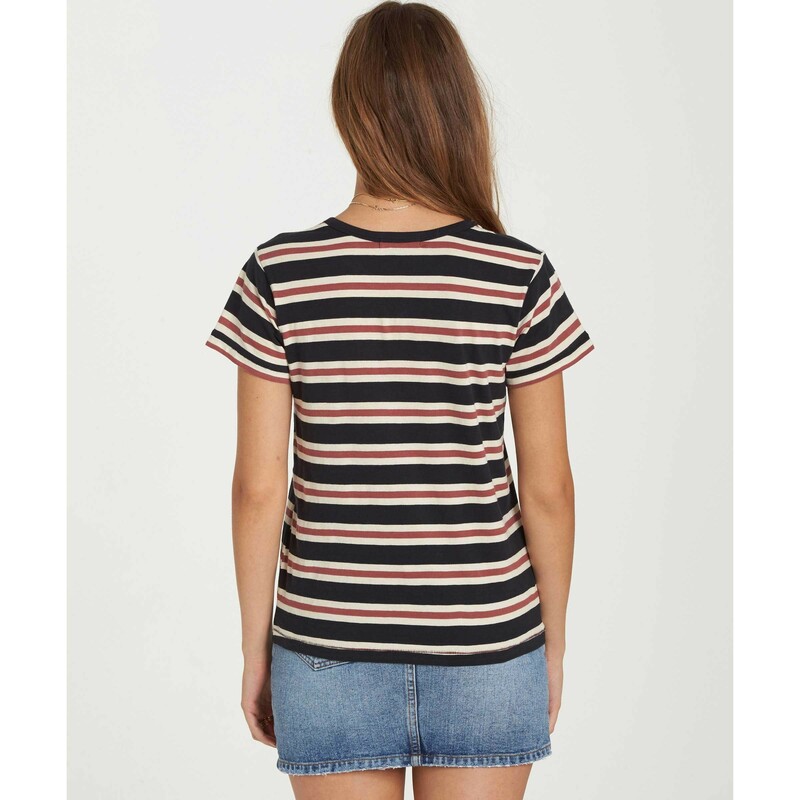 The striped tee is topped with wave logo embroidery at the left chest. 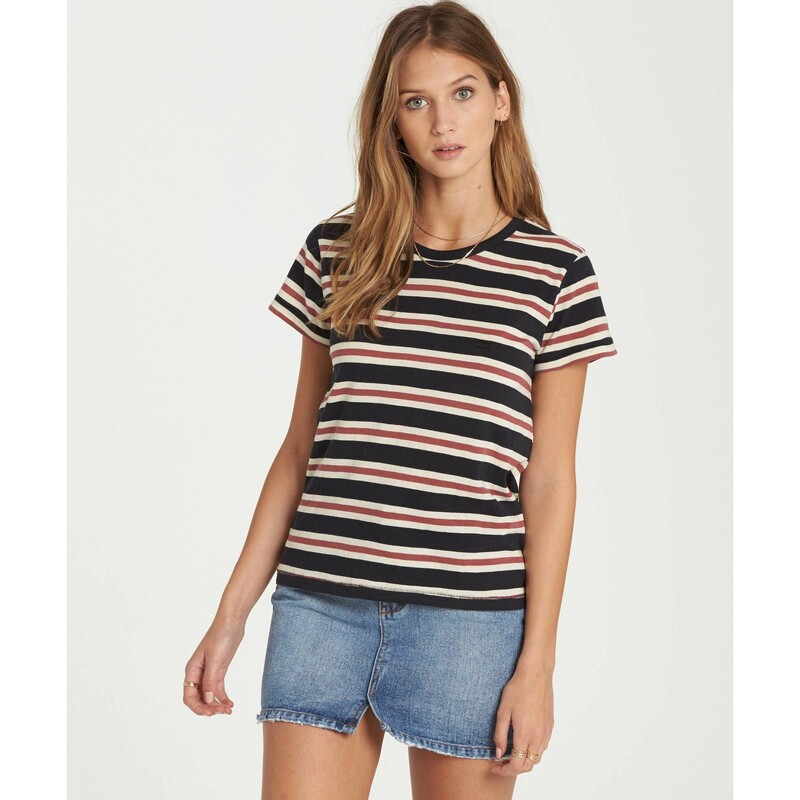 Womens short sleeve striped t-shirt. Wave logo embroidery at chest. Anna is wearing Black Multi in size M.